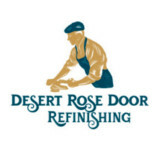 Desert Rose Door Refinishing is licensed, bonded, and insured specializing in residential and commercial door refinishing and finishing. Our craftsperson has fourteen years of experience in refinishing doors. Our process allows us to complete your wood or fiberglass door, on-site, generally in one day resulting in a door that looks better than new. Many of our customers tell us that their wood door never looked better. Our staining expertise allows us to closely match your original door color. However, if you want to update the look of your home, we can work with you or your decorator to make your door the color of your choice. If you are looking for something unique --our specialized techniques of door refinishing, door glazing, door antiquing and door distressing may be the answer. Our finishing process gives your door the best possible protection against the elements. 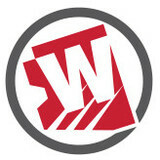 First Impression Ironworks, Inc. is a family owned and operated, industry leading ornamental iron manufacturer headquartered in Gilbert, Arizona servicing the entire United States. Visionmakers is your premier supplier of custom architectural stone and steel/iron doors. We create beautiful carved stone architectural details and steel/iron doors with unmatched quality. We can create almost any design or idea you can conceive! Some stones we work with are Cantera, Limestone, Travertine, Marble, and Sandstone. We carve fireplaces, fountains, columns, scuppers, corbels, pottery, moldings, etc. With over 30 years of experience, the craftsmen at G&C Door and Trim have provided builders, architects, and designers in the Phoenix metropolitan area with handcrafted products, incomparable customer service, and competitive prices that exceed our customers' needs. G&C Door and Trim is fast becoming one of the leading producers of craftsman solid-wood doors in the Valley. What kind of services do Phoenix door dealers provide? Door dealers are responsible for a variety of services, including door installation, replacement, door repair and custom door design. If you need a new door, Phoenix, AZ door dealers will help you determine what kind you need, as well as shape, color, size and more. From barn doors to French doors to front doors, these professionals can help you choose, install and maintain your door investments. Wood doors are beautiful, versatile and tend to be the most popular choice for both interior and exterior doors; they are easy to custom build, and include oak, cherry, walnut, mahogany, maple, fir and pine. Some standard wood doors have MDF cores wrapped in wood veneers, which minimizes the chances of warping as real wood expands when wet and contracts when dry. If your heart is set on a wood door but you think the Phoenix, AZ climate might cause it to warp, talk to your door professional about a furniture-grade veneered door. Aluminum doors have an insulated core and come in a variety of colors and finishes. With a baked-on enamel finish, they won’t rust or need repainting, and many come with a 20-year warranty. Next to wood they are the most expensive and have to be custom-made. A Phoenix, AZ door dealer can help you find a reputable aluminum door manufacturer. Find door dealers and installers in Phoenix, AZ on Houzz. 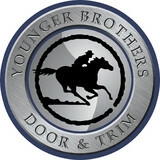 Look in the Professionals section of our website and search for Phoenix, AZ door dealers and installers. Read reviews, look at project photos and see how a pro can help with your home improvement project.